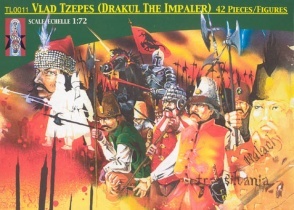 TL0011 VLAD TZEPES (DRAKUL THE IMPALER )and Wallachian army - Released 2009. Contents 34 figures and 8 horses in 11 poses. Material Plastic.